If one were to document the most significant cars ever made, near the top would be the Chrysler minivan. Although it may seem incomprehensible to those who are younger than 40, there was a time that minivans didn’t exist. That’s right, there were no minivans! Before the 1980s, there were standard sedans and station wagons being made for general transportation and “Cargo vans” if you wanted to carry a lot of people and gear. The idea of a smaller “car-like van” simply hadn’t hit the blackboard yet. 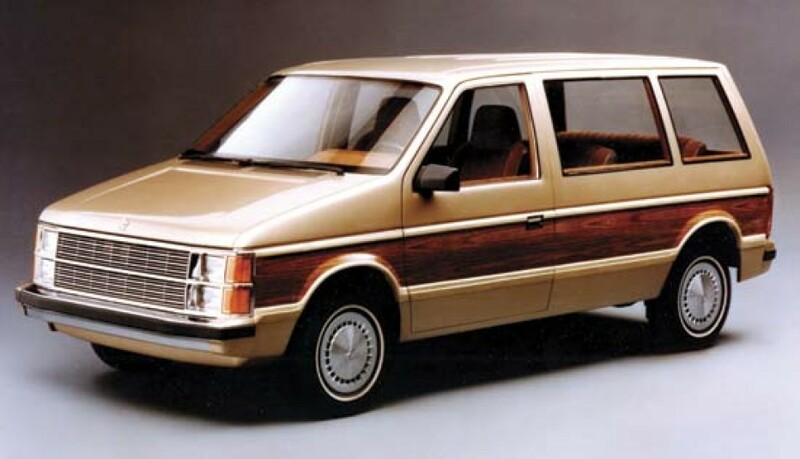 The concept of a “car-like van” can be identified with Chrysler Corporation, and during one darkest times too. In the late 1970s, decades of dubious product quality, design miscues and crummy leadership had left Chrysler Corporation almost bankrupt. The board of directors of Chrysler desperately needed someone to turn the company around and asked the legendary Lee Iacocca to take over the helm. Fortunately, he accepted. Luckily for Chrysler had just finished the design of their new front wheel K car models; the Dodge Aries and Plymouth Reliant. Although the company was in financial trouble, a great deal of R&D on their new front wheel drive systems had already been finished and the company simply needed enough cash to get these new models into production. Iaccocca obtained financing from US government. But Iaccoca knew that Chrysler needed more than just a few new models. They needed something really special. Working with his design engineers, Iacocca supported the idea of “car-like van” that would use their existing front-wheel drive K-car powertrain technology. Pearson Chrysler of Richmond, VA, a Chrysler, Dodge, Jeep, Ram dealer said that Chrysler executives and analysts did not think this was a good idea at the time. But it turned out it was. A front wheel drive minivan offers lots of interior room because there is no driveshaft. It offers superior gas mileage and it can be built cheaper than heavy duty vans can. Chrysler went into full production in 1985. The results of this were spectacular. During its first year of sales, Chrysler sold a stunning 209,895 minivans under the Dodge Caravan and Plymouth Voyager brand names. The entire automobile industry was stunned. Soon thereafter, General motors responded with scaled down conventional vans, the Astro and GMC Safari, and Ford countered with the Aerostar. But both of these vans we based on rear wheel drive truck components and did not offer the advantages of the Chrysler minivans. They failed to capture anyway near the sales of the Chrysler vehicles. Today almost every manufacturer has a mini-van to offer but none can say they have been building them as long as Chrysler has. After all, Chrysler invented the concept and has continuously improved it.